We’ve come a long way since the heyday of Sonic games during the late 80s and early 90s. Plenty of games have tried to reinvigorate the series and bring it into the world of both 3D and analog controllers. Few have had success, even in its smallest form, and some have been hugely ridiculed for their flagrant approach to one of gaming’s past greats. This is where, in 1999, Sonic Adventure was to come in. The Dreamcast was being eagerly anticipated throughout the gaming world as it promised a SEGA made console with exclusive titles & some impressive pre-PS2 graphics. 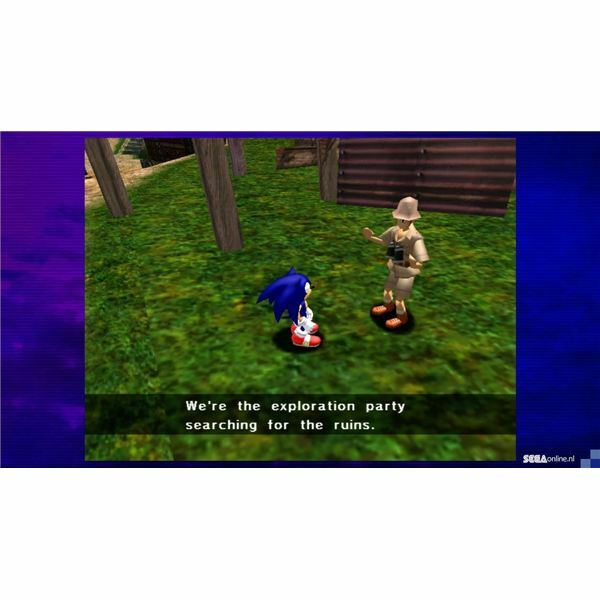 Although it wasn’t the behemoth SEGA planned, Sonic Adventure encapsulated mid to late 90s adventure games quite well, while placing Sonic & Tails at the forefront of it. Its legacy may not be as appreciated as other games of that era, namely Banjo Kazooie or Conker’s Bad Fur Day, but it has garnered enough cult support to find its way onto the Xbox LIVE Arcade service. While Game Room still releases re-hashed Atari 2600 games, without any new consoles or emulators being worked on, SEGA have decided to begin porting some of their older library onto the LIVE Arcade & Playstation Network services. 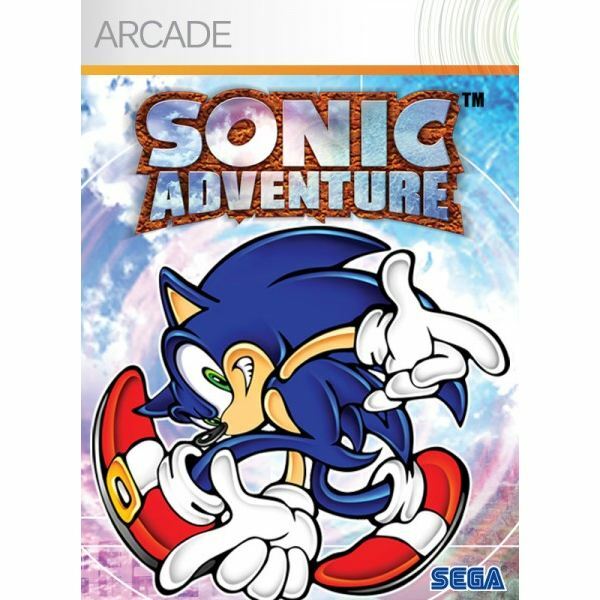 This milieu of classic SEGA titles has begun with Sonic Adventure XBLA, a port of the PC Sonic Adventure DX game, being released on September 20th and costing 800 points to download through Microsoft’s marketplace. This article will provide a Sonic Adventure XBLA review by comparing it to the original and looking into whether its worth buying as a digital download. Sonic Adventure XBLA drops players into an urban metropolis known as “Station Square”. Dr. Eggman (Robotnik if you’d prefer) tries to conquer the city by collecting all of the seven scattered Chaos Emerald’s (familiarity is often required in these kinds of games) and subsequently unleashing Chaos on it. By using his flying fortress and a new type of robot, he attempts to defeat his spiky blue haired nemesis, while Sonic’s companions each try to search for one of the emeralds. Due to this divergence of plot, with many principal & ancillary characters going to do separate things, the game allows players to choose which path to take through the game. Allowing for different story elements to present themselves given the choice of character being selected. This perspective shifting is a well-done mechanic and delivered almost apart from the clustered & non-sensical narrative. Plot isn’t the focus of any Sonic game, although that could change in the future, and it should come as no surprise that the laughably horrendous story structure is almost par for the course when dealing with this franchise. Instead of wasting anymore words on the setting, which takes leave of other Sonic games prior, we’ll begin to take about the meat of the game itself -the gameplay and supposed graphical upscaling. I use the term “supposed graphical upscaling” in the last paragraph sarcastically & correctly. Sonic Adventure XBLA does not update the textures or upscale any of the graphics. It remains the same as it was in 1999 -with sharp edges & a 4:3 aspect ratio still prevalent. This predicament is furthered in the sound quality and overall presentation of the game. The sound is still focused on late 90s teen rock while the voice acting cuts through your ears like they’re butter. Forgoing the nostalgia of the game, which admittedly is its main appeal, Sonic Adventure XBLA suffers from outdated and appalling quality in its overall aesthetic. Straight ports to XBLA aren’t unheard of, but usually they come in the form of updated experiences, much like the recent Perfect Dark XBLA release. At least there they upscaled the textures and slapped an HD tag onto it. Here, the developers have eschewed making the effort to do this, instead focusing on porting the exact same game from the PC update. In turn, it feels like the game is coming off as a simple cash in of redundancy, given the Gamecube & PC versions already ported in the last 5-6 years. Sound & aesthetic quality aside, the bulk of Sonic Adventure XBLA’s experience will be found in the gameplay, of which there a couple of distinct varieties. 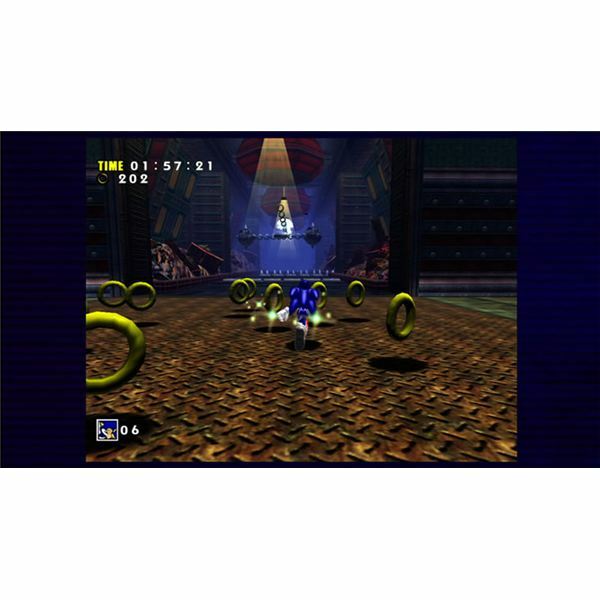 With its action stages comprising the core gameplay mechanics, in which Sonic or the 6 other playable characters move around a typical Sonic level except in 3D, as well as the adventure mode featuring no enemies & traversal aspects across the “Station Square” metropolis. It feels jarring moving between the different elements of the game, especially with the loading and poor cutscenes used, albeit as obvious or derivative transitions. 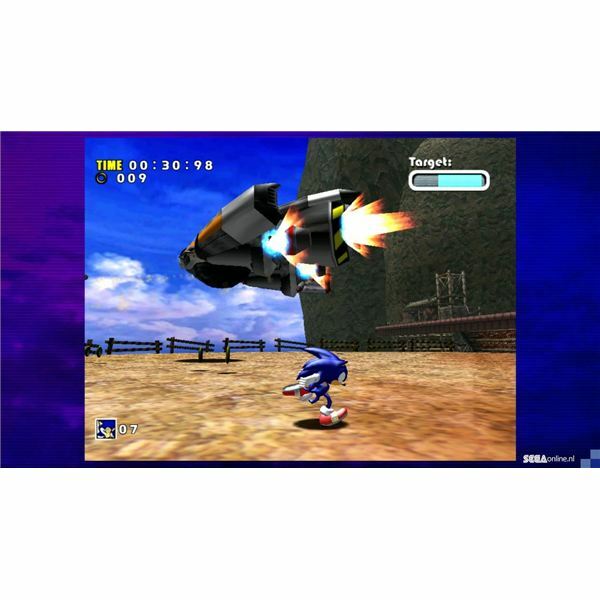 The action stages comprise classic Sonic motifs, such as loops in the terrain or hitting the infamous checkpoints, but for each nostalgic moment Sonic Adventure XBLA adds something less tenable with its three-dimensional design. Springs can lead to a change of perspective or angle which results in some weird camera work. Blockades or walls will crop up while Sonic is in full swing -often curtailing the sense of speed & skill with which you’re moving through the action levels. Sonic Adventure XBLA is a bog standard port of a seven year old PC game. While Microsoft’s Game Room languishes in the world of Konami arcade games, SEGA have found an unrealistic price point for this 11 year old game that doesn’t particularly qualify as a classic. Although some of the action levels provide a decent challenge & this is the de facto Sonic game in three dimensions, the overall experience is lacklustre, especially by today’s standards.